Lenny Kravitz will issue his 2000 “Greatest Hits” package on vinyl for the first time in the US on May 18. The set showcases hits from the rocker's first five albums: 1989's “Let Love Rule”, 1991's “Mama Said”, 1993's “Are You Gonna Go My Way”, 1995's “Circus” and 1998's “5”. Upon its original release, the 15-track collection (track list below) reached No. 2 on the Billboard 200 on its way to US sales of more than 3 million copies while earning Platinum status in more than 15 countries. The 2018 reissue will be available in a 2LP 180-gram black vinyl configuration, while an exclusive, limited-edition from uDiscover will feature custom clear mixed with smoky silver and white swirls on LP1, and custom clear mixed with blue and white smoky swirls on LP2. The guitarist has confirmed plans to release a new album, “Raise Vibrations”, this fall; his most recent studio release is 2014’s “Strut”, which peaked at No. 19 on the Billboard 200. 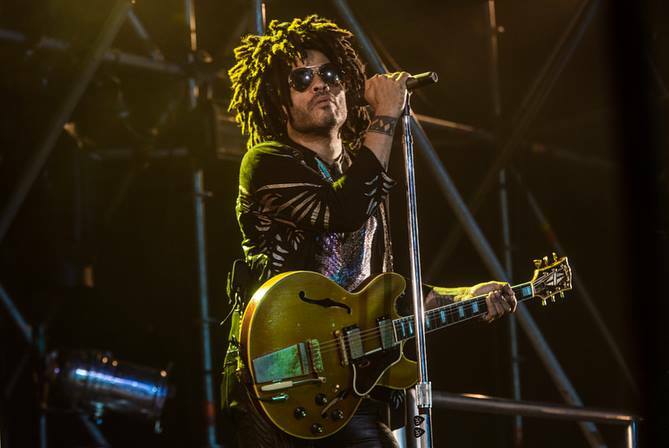 Kravitz is currently playing dates in Mexico and will begin a European tour next month, with shows scheduled to the end of July.